Welcome to the Women’s Reproductive Health and Newborn Care Program. At West Lincoln Memorial Hospital (WLMH), we provide obstetrical and newborn care for low-risk pregnancies. At McMaster University Medical Centre (MUMC), we provide tertiary level care for families in the Hamilton-Niagara-Haldimand-Brant region. We care for families during labour, delivery and after your baby is born. Our approach is family-centred care. This means that you, your baby and your family are the focus of our care. We care for you together, so that you and your family can form a strong bond with your baby. There are times, however, when health concerns arise and we need to care for a mother and baby separately. Obstetricians, midwives and family physicians deliver babies in our modern facilities. Approximately 3,000 babies are born here each year. We consider ourselves part of your decision-making team. Pain management is your choice. We are baby-centred and have lactation consultants to help with nursing. We are the regional referral centre for high-risk pregnancies. Our doctors are specially trained in maternal fetal medicine. We have a critical care unit specifically for women next to labour and delivery to ensure women are provided the best care at all times. Approximately 750 babies are born here each year. Please call before coming to the hospital so that we can get ready for you. 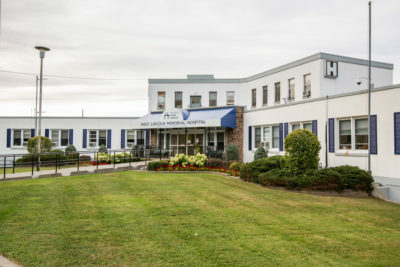 MUMC: Call 905-521-5050 for the Labour and Delivery Unit. WLMH: Call 905-945-2253 ext. 350 or 351 for the Labour and Delivery Unit. 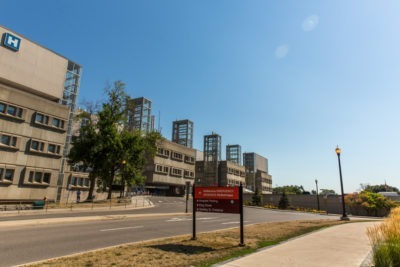 If you need to be admitted to monitor you and/or your baby during your pregnancy, you will be brought to the Women’s Health Unit, located in Ward 4B at McMaster University Medical Centre. Here our team of healthcare professionals will care for you and provide health teaching to support your pregnancy. Directions to the Women’s Health Unit (4B): Keep right off the elevator and before the large glass walkway. Follow the signage past Ward 4C. The in-patient unit is located behind the Maternal Fetal Medicine Clinic. If at any point during your labour, delivery or after your baby is born you require specialized care, you may be transferred to our Women’s Health Critical Care Unit. Here you will have close monitoring by either our Critical Care or Labour & Delivery nurses as well as a team of experts to support all of your care needs. Directions to Women’s Health Critical Care: Keep left off elevator and take hallway past Labour & Delivery. Entrance to the unit is on the right past Labour & Delivery.